In sub-Saharan Africa, property relationships around land and access to natural resources vary across localities, districts, and farming regions. These differences produce patterned variations in relationships between individuals, communities, and the state. 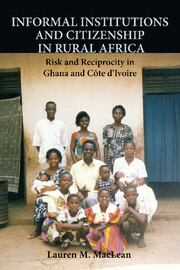 This book captures these patterns in an analysis of structure and variation in rural land tenure regimes. In most farming areas, state authority is deeply embedded in land regimes, drawing farmers, ethnic insiders and outsiders, lineages, villages, and communities into direct and indirect relationships with political authorities at different levels of the state apparatus. 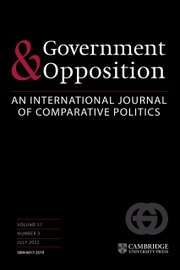 The analysis shows how property institutions – institutions that define political authority and hierarchy around land – shape dynamics of great interest to scholars of politics, including the dynamics of land-related competition and conflict, territorial conflict, patron-client relations, electoral cleavage and mobilization, ethnic politics, rural rebellion, and the localization and “nationalization” of political competition. 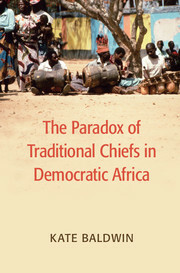 "This is a wide-ranging and deeply researched work. 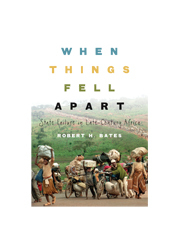 It encompasses both Francophone and Anglophone Africa and exhibits a clear mastery of the politics of the conflicts that have drawn the world’s attention: the Ivory Coast, Kenya, Rwanda and Eastern Congo. It promises to become a classic in our field." 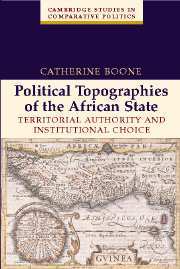 "This book is a masterpiece, which will consolidate Catherine Boone’s standing among the topmost rank of practicing Africanists. The comparative scope, the field research in multiple countries, the thorough documentation on the others, and the coherence as well as the intellectual force of Boone’s analytical framework all mark the work as a contribution that will be obligatory reading for comparativists. 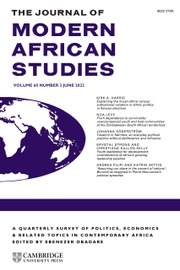 Boone’s focus on the local and its relationship to the national is a valuable counterpoint to a number of recent political science treatises focusing on Africa. The differences of detail in the cases explored are fascinating, and Boone’s interpretive schema impressively organizes them into a parsimonious explanatory frame." the product of this book is so interesting and i would advise all lecturers of land law to purchase this book. Conclusion: property regimes in political explanation. 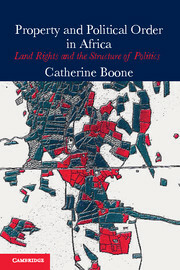 Catherine Boone is Professor of Government at the University of Texas, Austin. 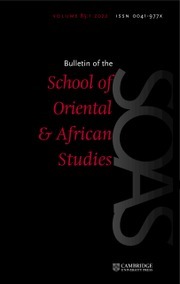 Boone has been a member of the Board of Directors of the African Studies Association, the Executive Council of the American Political Science Association (APSA) and the Executive Committee of the Comparative Politics Section of APSA, as well as of review boards for the National Science Foundation, Fulbright, and the Social Science Research Council (SSRC). She was a member of the Africa Regional Advisory Panel of the SSRC and was Secretary of the African Politics Conference Group, an APSA- and ISA-affiliated research network. 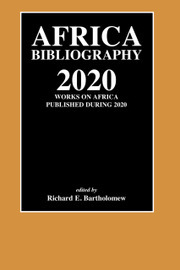 Boone was Treasurer and then President of the West Africa Research Association (2005–8), which oversees the West African Research Center in Dakar, Senegal. With Archon Fung, she is Program Co-Chair for the 2013 APSA Annual Meeting. 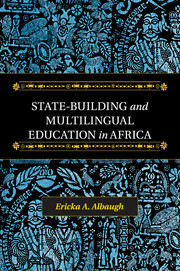 She is a member of the advisory committee of APSA's Africa Workshops Program. 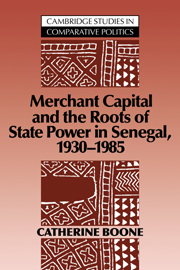 She is author of Merchant Capital and the Roots of State Power in Senegal, 1930–1985 (Cambridge, 1992), which was a finalist for the Herskovitz award in 1993, and Political Topographies of the African State: Rural Authority and Institutional Choice (Cambridge, 2003), which was a finalist for the Herskovitz award in 2004, a runner-up for the Luebbert Award in 2004, and winner of the Society for Comparative Research Mattei Dogan Award in 2005.